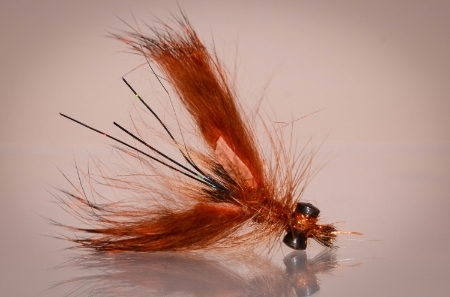 About: A basic small crawdad pattern developed for Chicago harbor Carp and Drum. Sometimes the shiny back seems to make all the difference. Everything here is sigh fished, usually using the drag and drop method. The colors of course can be changed to match local needs. I usually have rust, olive, and tan on hand. If necessary, you can also lead wrap the hook to go deeper faster.